Spread 1/2 cup of alfredo sauce on the bottom of the springform pan. Next, layer the no-cook lasagna noodles over the alfredo sauce - enough to cover the bottom of the sprinform pan, breaking the noodles to fit as needed. 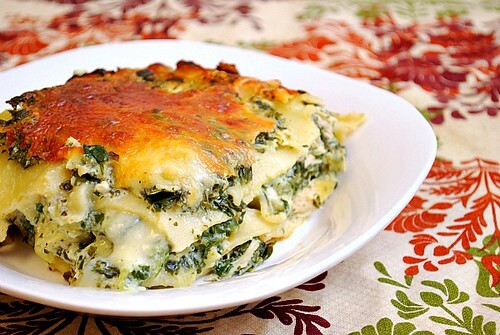 In a large bowl, combine the rosemary, artichokes, spinach and chicken. Spread 1/4 of the spinach artichoke mixture in the bottom of the prepared baking dish; top with 3 no-boil noodles, broken to fit. Place 1/4 cup of alfredo over noodles and sprinkle 3/4 cup mozzarella cheese over noodles. Repeat layers 2 more times, ending with artichoke mixture and mozzarella cheese, reserving some cheese for later. Cover with aluminum foil and place on trivet in Instant Pot with 1.5 cups water. Cook 20 mins on high pressure. Natural Pressure Release for 20 minutes. Remove lasagna from oven and uncover; add reserved shredded cheese on top.